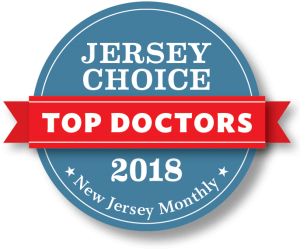 Our practice has over 30 years of serving Morris, Hunterdon, and Warren counties with the finest dental care including Long Valley, Chester, Flanders, Hackettstown, Mendham, Mount Olive, Califon, Tewksbury, and Randolph. Our Philosophy is that the proper restoration of any dental problem must begin and end with consideration given to naturally beautiful esthetics combined with structural integrity. Our Office features the most advanced technology such as Cone Beam Imaging, Logicon Caries Detector Software, digital x-rays, intra-oral camera, laser scanned porcelain crowns, computers with 2 monitors in each operatory so educational software can fully explain dental procedures patients might need. Also, for patient relaxation, we offer wall mounted TV’s and in-room stereo. Drs. Goodkin & Pilek and their caring team pride themselves on giving you the highest quality, most comfortable dental care in a state-of-the-art environment. This is a place I never want to take for granted. I have been coming here for more than 14 years. I am greeted with a warm smile every single time. The girls at the front desk are absolutely wonderful ! The dental hygienists are amazing. They are friendly, supportive and highly skilled. The dentists are so caring and supportive. I have been here for countless routine cleanings as well as more complicated procedures. I know I am in good hands when I walk though that door. I have nothing but gratitude for the entire staff at Dr.Goodkin and Pilek Family Dentistry. Thank you for all you do !!! The staff at Goodkin & Pilek Family Dentistry is totally committed to the health, well being and comfort of each and every patient. Every aspect of the visit, from check in to scheduling the next appointment, is a total pleasure. I know that my children and I receive the best dental care available, including complete explanations at every step of the exam and cleaning. Every single aspect of this practice is awesome from the moment you walk in. My four-year-old loves coming to see Ginger, so she actually looks forward to going to the dentist for her cleaning! The dentists are all excellent in terms of knowledge, skill, and care. They also have the kindest, happiest reception of any medical or dental office I have ever encountered.